SubZero Repair K&N Repair [replace_lc] is Houston’s premiere SubZero Appliance Repair [replace_lc]. K&N Repair [replace_lc] has been proudly serving the Houston area for over 35 years. K&N Repair specializes in SubZero Refrigerator repair, SubZero Freezer repair, SubZero Ice Maker repair, SubZero Ice Machine repair, SubZero Under Counter repair, SubZero Wine Cooler repair [replace_lc]. When you call expect nothing less than the highest quality of professionalism in the industry, with very competitive pricing. Call one of our friendly operators today and set up and appointment. 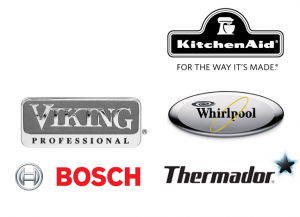 When you invite K&N Repair [replace_lc] into your home, you will encounter not only factory authorized technicians, but service experts who each have at least 15 years of experience. No other service company in the appliance industry focuses the same amount of attention and resources to keep our technicians & customer service staff abreast of current technology and product knowledge. Our technicians are always diligent about treating you, your appliance, and your property with respect. Many of our customers look to K&N Repair [replace_lc] as their preferred service provider. We’ve been in the appliance repair [replace_lc] business for 61+ years. Each of our factory authorized technicians have at least 15 years of experience. We provide results with every service call that ensure your satisfaction. K&N Repair is dedicated to bringing you the very best in service and repair. With friendly and skilled technicians, we are confident you'll call us back with all your future appliance repair needs. Looking for a specific part? Just call or drop by our Houston location with the brand, model, and serial number of the part you need.